The perfect addition to any bedroom, the cute, fun Sunbeam for Kids SUL002F-CN ultrasonic Flower humidifier helps achieve the ideal conditions to sleep well at night and provides year round relief from the drying effects of air conditioning and heaters. 1-year limited warranty. Please call 1-800-253-2764 if you have any questions regarding this warranty. Arctic Cove introduces the Arctic Cove 16 oz. Personal Misting Bottle. The great thing about this unit is that it is a greener option. This unit also runs off a convenient pump to pressurize the bottle for constant cooling. To learn more about Arctic Cove cooling products go to ArcticCove.com and check out us on social media. 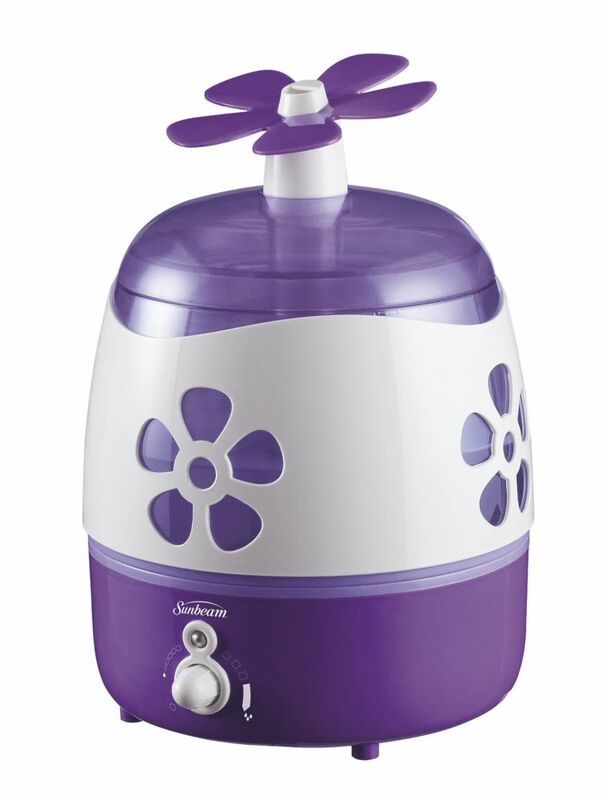 Ultrasonic Flower Humidifier The perfect addition to any bedroom, the cute, fun Sunbeam for Kids SUL002F-CN ultrasonic Flower humidifier helps achieve the ideal conditions to sleep well at night and provides year round relief from the drying effects of air conditioning and heaters. Ultrasonic Flower Humidifier is rated 2.4 out of 5 by 10. Rated 3 out of 5 by Krobbins from Decent Tank cracked on our unti and is leaking adter only 1-month. How do I get a replacement. Rated 1 out of 5 by GSWAT from Water doesn't project high enough, leaves floor we I have two of these and both suffered the same problem, if they are left on the floor of a room a few hours later the carpet is soaked. The mist does not project high enough so it just falls on the ground around the humidifier. Rated 1 out of 5 by Kawybear from Terribly loud noise Bought this unit and it got extremely noisy and no mist comes out at all. It's just over a year since purchased so warranty no longer applies even though it's only been turned on a handful of time. It has only been used when my daughter has a cold so it's not from daily use. Seems to be a common problem with this whale. Rated 4 out of 5 by Momma from Mostly good I bought this 6 months ago and I like it for the most part. I do not like how bright the light is especially for a kids room and I hate that it leaks from the whales head.. I did put a plastic placemat on the top of the dresser to catch the water that runs down off the whale's head but not before it did some damage to the top of the dresser. It runs fairly quiet and my son,is able to sleep through it. it is nice that there is no filters to replace and it's easy to keep clean. Rated 2 out of 5 by John from Huge noise after one year The huge noise started after one year of using. I cannot sleep with this on. Rated 3 out of 5 by jrljrl from not bad, not great. also, why french user manuals? this is cumbersome to clean and must be cleaned everyday. Also, you have three links under the service and support tab above. all go to a french user manual. can you please provide an english one?